We’ve written about smart home products and services that can simplify your life and provide advantages toward everyone’s increasingly connected lives. Smart thermostats, smart locks, smart sprinklers—so many ways to control and simplify your life. But let’s get down to the nitty gritty — dirt, that is. It’s spring cleaning time, when many of us focus on inspecting our furnaces, changing our HVAC/central vac filters, replacing batteries in our smoke/carbon monoxide detectors and cleaning the gutters. Those who have already implemented hi-tech smart technology into their homes may also gear up to adjust their video intercom systems or create new lighting and listening schemes in their family rooms. But if you’re only on the cusp of making your home ‘smarter,’ there are still things you can do today to make your spring cleaning simpler (and less labor-intensive). First, if you’re running low on supplies, check out the Amazon Dash Button, which makes it easy to keep staples in stock at home. 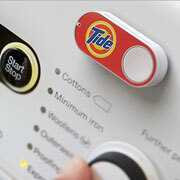 Buy a $4.99 wi-fi connected button for one of several dozen products that you likely use regularly at home—think toilet paper, laundry detergent, pantry staples. Install the button in your laundry room, bathroom cabinet (wherever you might realize you need refills of the product), and just press the button when you need more. It’s ordered and shipped automatically. Vacuum cleaners were one of the first recent places we started to see home appliances that could automate previously manual activities. Roomba came out in 2002 and revolutionized the home lives of gadget geeks everywhere with its automated vacuum capabilities. It’s offered increasingly sophisticated features in subsequent models. 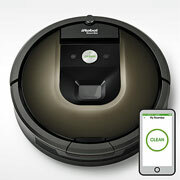 You can now control the new Roomba 980 from your smartphone, and it will recharge itself as necessary and keep an entire level of your house clean. If you have floors that need mopping, Roomba can handle that, too, with the Braava jet for small spaces and the Braava 300 for larger areas. And while they aren’t cheap, robot lawnmowers sure are tempting. 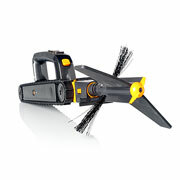 Yes, you can purchase one like these Robomow models today: http://usa.robomow.com/product-category/mowers-en-us/. Between the vacuuming and mopping inside and the mowing outside, our robot overlords really can make your chores easier, giving you more time for the fun stuff. 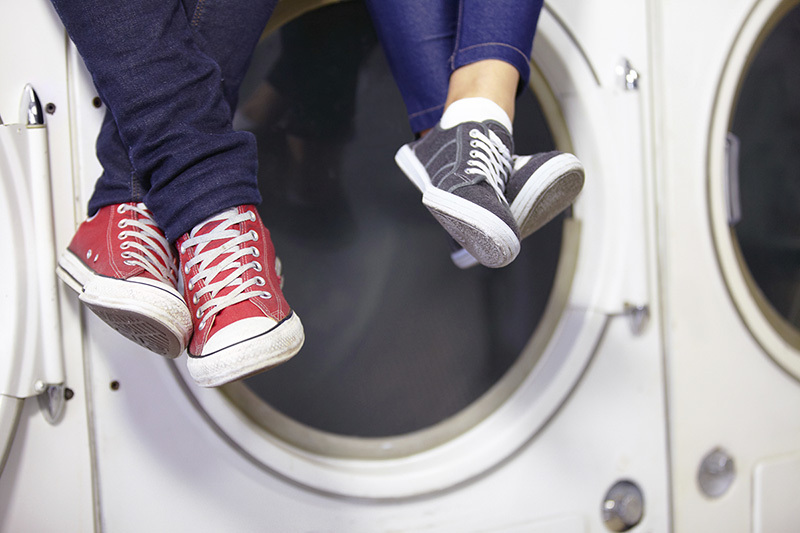 Are there more places we can expect smart technology to make it easier to keep things tidy? 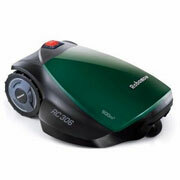 It seems likely that cleaning robots will continue to improve. Check out the Looj, also from iRobot, for instance: a gutter-cleaning robot, making this yucky task lots safer and faster—just climb the ladder once to place Looj in the gutter and let it do all the hard work! And there are many more ‘smart’ technologies in development or just on the horizon, like self-cleaning / absorbent floors and refrigerators that know when you’re out of milk and adds it to a list on your smartphone. Yes, please! Still, once we get to robots that will dust the blinds, or wipe down the bathroom sinks and counters, then we’ll really be excited.